I’m looking for some advice, I have 2 chow chows. A girl and a boy, Nearly age 2. Very well behaved and trained, very socialised, great with all animals and all children. Been an annoying type of child, very respectful towards them. the past 2 weeks though, my male dog has started growling at my son when he smooths him, he doesn’t do it when I am in the room. He is nice to him when I am present. But when I leave the room, he doesnt like him. He will listen to him to sit for treats etc, he isn’t challenging him that way. My female chow is on heat, could this be the reason? I am going to get my male neutered, he’s not tried anything on with my female any time she has had a season yet. I am not sure any other reason for this change in behaviour from him, my son is quite upset about it as he thinks he doesn’t like him and he adores him and it’s making him a bit anxious now to be around him. Thankyou for your opinions in advance. OK, so you have Chow's, but don't seem to understand them. One it's a challenge, two jealousy (over female), but why you haven't had them both fixed already is beyond understanding. 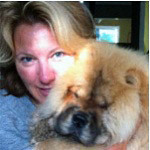 And you have heard of the "terrible two's" Chow's are famous for, right? OK, the fix will help some things, but male's of any species don't usually act in their best interest. I don't really know you or your kid, but you sound like 90% of the people with a pet, you forgot the animal world has different and far more direct rules. No idea what has happened, so not much I can suggest. @JasonandNat Thanks a lot for giving the best recommendation and I think you're right.